Thank you for joining us in focused prayer for the month of April 2019. Hebrews 12:28 says, “Therefore since we receive a kingdom which cannot be shaken, let us show gratitude, by which we may offer to God an acceptable service with reverence and awe…” (NASB) Therefore, let us pray to our God with gratitude, and willingly offer Him our acceptable service! As I read these verses, I see Jesus as a sign to the nations. 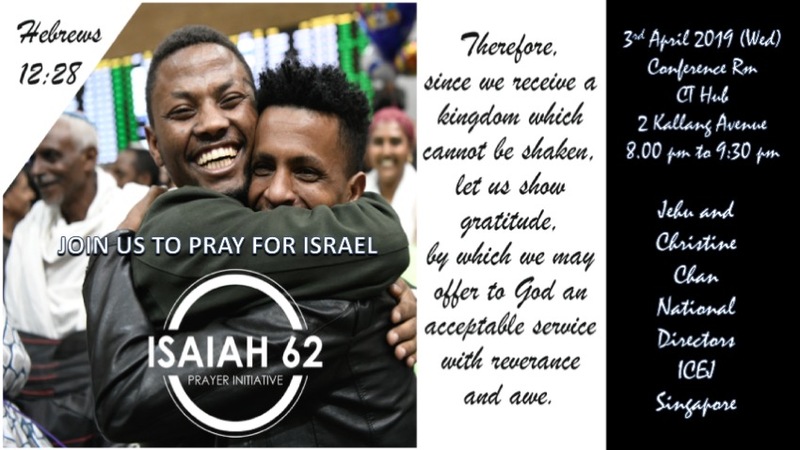 Followers of Jesus from the nations are called to bring the Jewish people who have been scattered throughout the world, back to their promised biblical homeland: Israel. When we partner with God in this work, the Lord says He will receive it as a pleasing offering.